Texty.org.ua presented the project “Tree days before spring”: an interactive chronicle of Maidan events of February 18-20, synchronized with hundreds of pieces of videos. Experts also marked on the map the places where Maidan activists and 13 policemen got lethal injuries. 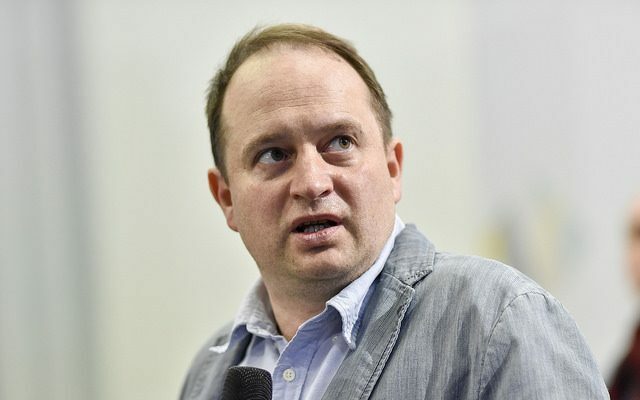 They also included information about people who occasionally became participants of events and perished: journalist Veremii and engineer Zakharov, technical staff member of “Party of Regions” office. Readers also can track how the territory of Maidan was widening or shrinking in the course of events. “There is hardly any new information, but we tried to organize it to show the overall picture. 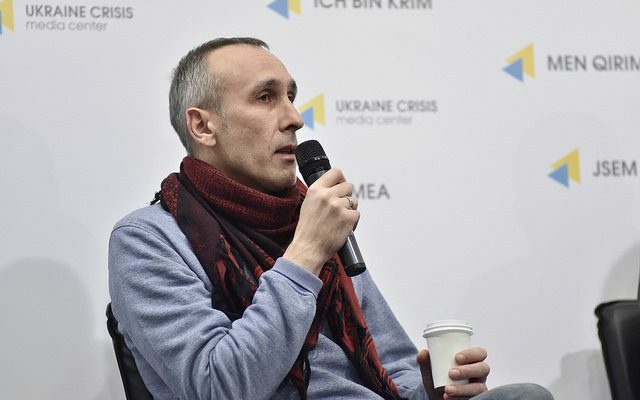 We collected data about people who were killed to show who were they, what was the official cause of death and where it happened,” explained Pavlo Solonko, author of the project, presenting the chronicle at a press briefing at Ukraine Crisis Media Center. “Information about several people can be missing, because we still do not have the full data. We will be grateful to our readers and other experts for providing more details,” added Roman Kulchynskyi, senior editor of Texty.org.ua. One of the motives of the project is to find information necessary to commemorate these events in the Maidan Museum and to install memorials in the places where people died. “We used two main bulks of data: materials of the investigation, and they (the investigators) were always ready to cooperate, but sometimes could not disclose information that could harm the investigation. […] Regarding the events of February 20, we referred to a video chronology of the events, created by Talionis Group,” noted Pavlo Solodko. Other sources include BBC reports, news from online-media “Ukrainska Pravda”, “Livyi Bereh” and some others, investigation book of Sonia Koshkina and the book “Maidan. Evidence”, published by “Dukh i Litera”. A part of videos were taken from the Internet where they were available in free access, another part was provided by “Babylon 13” group. The work threw light on several details which have been questionable. The chronology of events also confirmed that the first Maidan activists were wounded by shots from firearm at about 11 a.m., while among the police the first wounded by shots suffered these injuries at about 2 p.m. The first lethal casualties among the police occurred at about 5:20 p.m.: two policemen were shot from Makarov pistol when preparing to assault in front of the barricade close to the House of Trade Unions. By that time, already more than 10 protesters were killed, the majority of them were shot. According to Pavlo Solodko, this is only the start of the work. “There is a lot of information that needs clarifications, certain places are marked to а precision of 10-20 meters. Moreover, we are going to collect the same information about people who were wounded but survived, there are several hundreds of them,” he noted. Experts will also add the information provided by the investigators in the future. 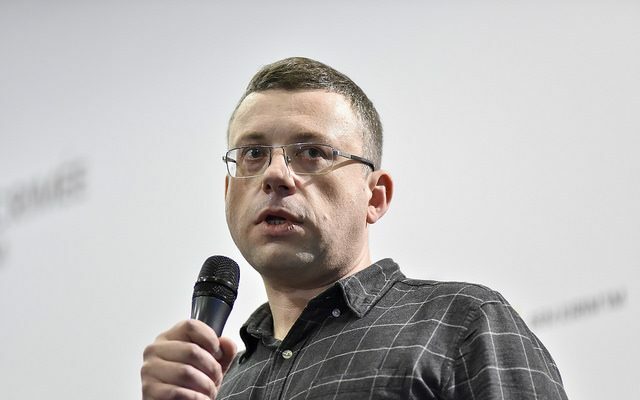 Volodymyr Tykhyi, representative of “Babylon 13”, suggests creating a similar chronology about all important days since the very start of the Revolution of Dignity. “When you see the visualized information, you are starting to analyze the events from a more wide perspective than your personal point of view. […] Moreover, such projects help us to follow and control what is going on with the investigation of these events. We must set a record straight,” he said. “In this chronicle, we do not accuse anyone, because we are not investigators. We only did this work and will continue clarifying details. For instance, we cannot affirm that currently detained Abroskin, former policemen of “Berkut”, shot the activist Bohdan Solchanyk. But we can see in the videos that the direction of fire and time are the same, second to second: he is shooting three times, and from the synchronized video we can see that at the same moment Bohdan was wounded,” added Pavlo Solodko.